As a member of "Roadbike Holidays" we are the experts for your road bike holiday! The brand Roadbike Holidays stands for tested quality in all areas, which are important for a successful holiday with the road bike. The annual inspection, certified by TÜV Austria, guarantees the high standard. We convince with first class road bike service. Personal commitment, competence, individual advice, special hotel services and a comprehensive selection of road bike tours are a matter of course in our house. And because even the greatest cyclist does not sit around the clock in the saddle, our hotel offers many additional services. 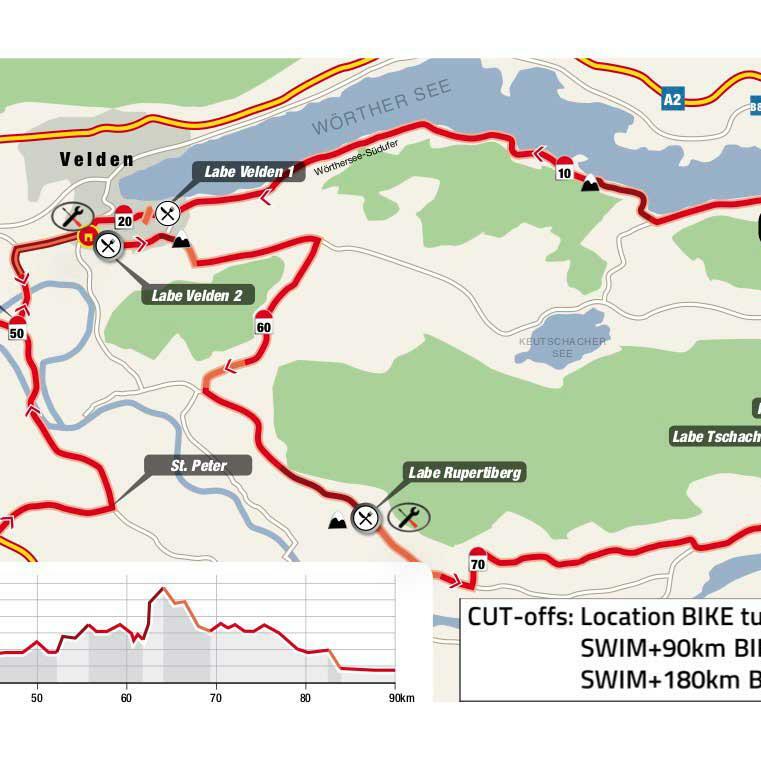 Please inform yourself below about our beautiful racing bike region, about our racing bike competence and last but not least about the 30 tours, which we have developed especially for you and your perfect road bike holiday. 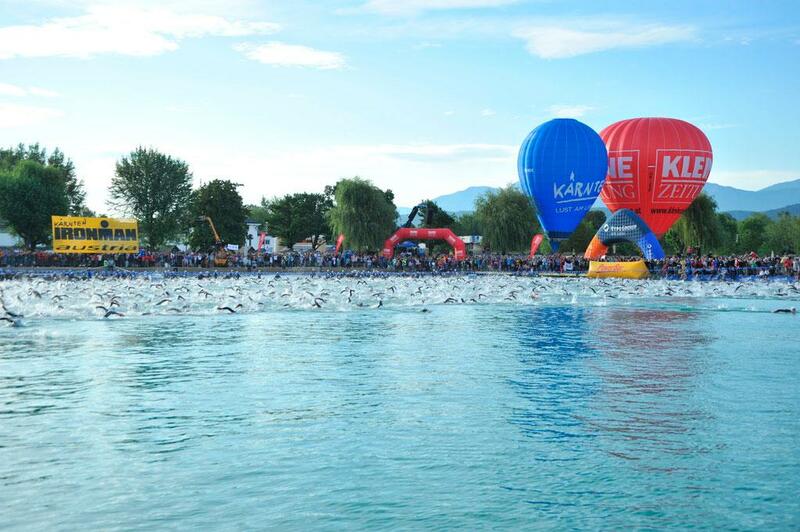 We wish you lots of fun, a great racing bike holiday and many exciting bike kilometers! 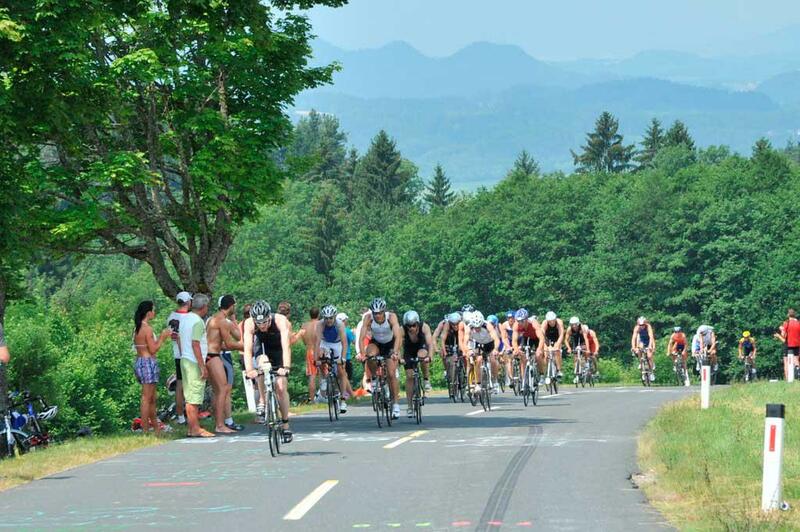 ... in the racing bike paradise Faaker See - South Carinthia. from the Erlebnis-Hotel am Faaker See. Brigitte, the proprietor of the hotel, herself is a mountain bike pioneer and a passionate racing cyclist. She couldn’t wish for a better preparation for the international Masters Ski Race in winter than the summer training with stunning mountain and lake tours in Carinthia. Brigitte‘s and Albert‘s most favourite route is the 3-countries tour across Italy and Slovenia and back to Carinthia. They are especially fond of the delicious hot chocolate in Italy, which is so rich that a spoon could stand in it. The calories acquired in that way are used up in no time during the exhausting mountain stage on the Wurzen Pass afterwards. Manfred, Hubert, Albert and Brigitte are all passionate and enthusiastic racing cyclists and look forward to show you, divided into ability groups, Carinthia’s most beautiful tours. In the company of our guides, you will mostly go on tours which can’t be found in any tour directory. Each tour offers an individually selected route which we will discuss with you during the Cyclists‘ Regulars’ Table. We are also prepared for pros who manage more than 30 kmH: Active racing cyclists of the former "Paco Wrolich“ fan club are at your disposal. Here you will not only find beautiful flat stages for kicking around and basic endurance training but also crisp ascents and endless mountain panorama roads which put the highest demands on your condition. DRIVING, TELLING, EATING + ENJOYING !!! 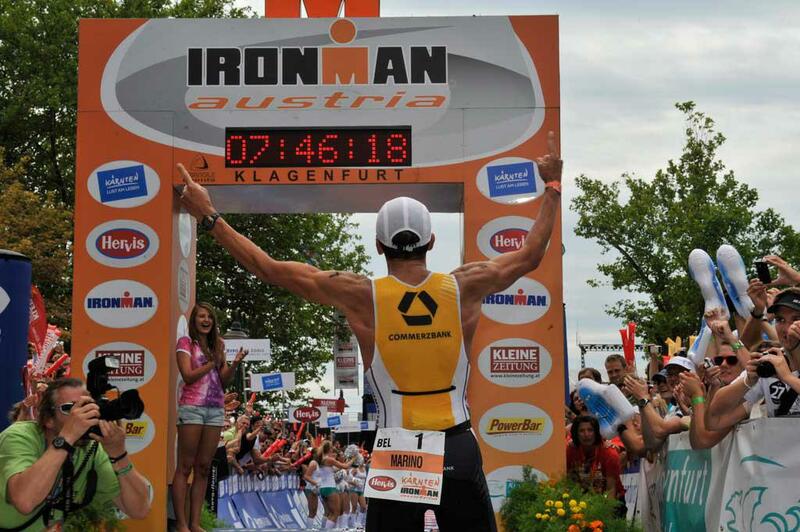 Triathletes have also come to the right place. 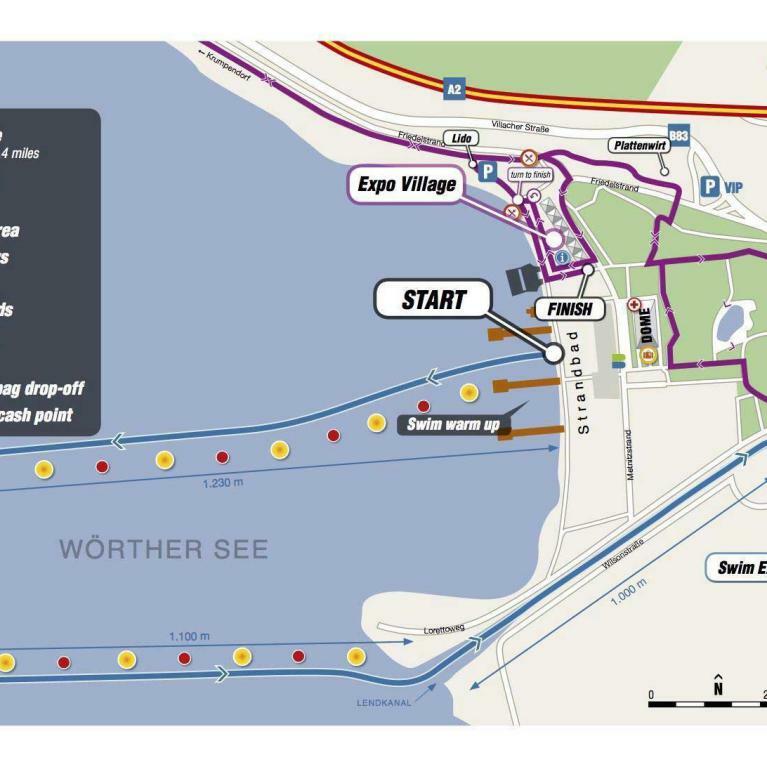 The Lake Faak tours and the Marathon Route along the river Drava (5 km away from the hotel) with measured kilometre indication offer ideal training conditions. 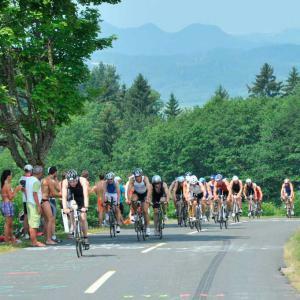 Lake Faaker - "Land of the Road Bike"
Carinthia – where the air is mild already in April and where the conditions for racing cyclists are ideal to acquire and store plenty of basic stamina for the challenging summer marathons. 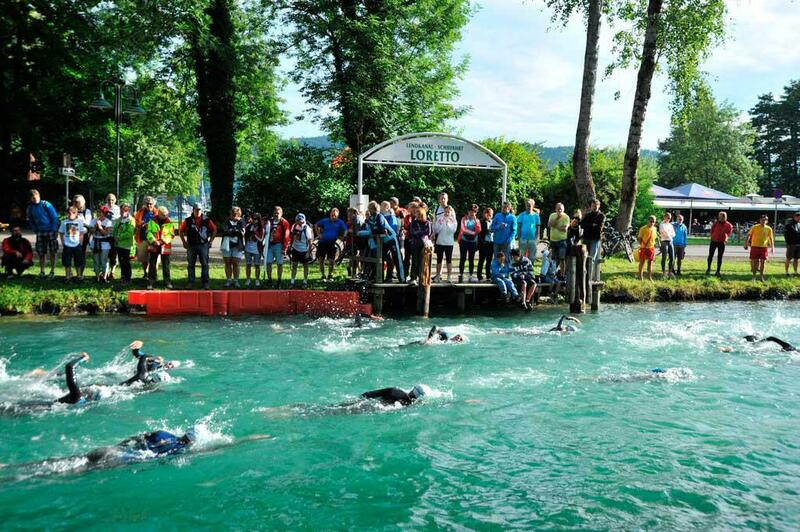 Carinthia – Austria’s southern dream – is almost predestined for racing cyclists and nature enthusiasts, leisure cyclists, mountain fans and kilometre chasers. Our hotel’s central location offers racing cyclists many possibilities to enjoy their favourite sport even during their holidays. 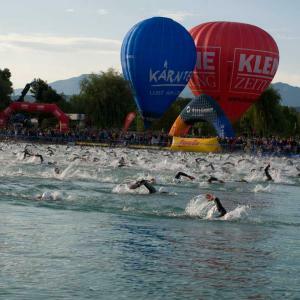 Especially the region around the district capital Villach boasts a widely ramified, superbly developed road network which leads to the countless turquoise-blue Carinthian lakes, into quaint valleys or onto demanding mountain roads. By avoiding the vicinity of towns or mundane lake locations especially during the peak seasons, racing cyclists can definitely find enjoyable roads and routes with little traffic. Due to the mild climate, the location of Austria´s most southern federal state provides excellent cycling conditions already from March/April right into October. The proximity to Italy reflects in Carinthia‘s stable weather conditions and this, in combination with the Alpine influence, provides a stunning scenery where even the most intensive training is an absolute pleasure. Some of our tours lead into Italy and Slovenia and offer the opportunity to experience 3 countries, 3 languages and 3 cultures on 2 wheels within just a few hours. Many tips and information about these excursions provides Brigitte at the reception. Brigitte is always there to give advice on every cycling requirement. Countless scenic landscapes and locations invite to stop for a while and the typical Carinthian inns offer lived hospitality. Pasta in Italy, cream slices in Slovenia or a Frigga in one of the quaint Carinthian valleys are also a must. Racing bike cycling in the racing bike paradise South Carinthia, which enthusiasts affectionately call "Carbon Valley", offers southern warm flair in combination with the demanding challenges of the countless mountain and pass roads. There is no place for boredom since the tours start from the hotel almost radially – constantly changing impressions, diverse landscapes and a variety of surroundings characterise the image on the left and the ride side of the road. Our offer’s utter variety in harmony with the southern mild climate provides this unique pleasant ambience which makes a racing cycle holiday here at Lake Faak so attractive and perfect. The mild climate and the special location provide excellent training conditions from as early as Mid-April until right into October. The proximity to Italy reflects in Carinthia‘s stable weather conditions and this, in combination with the Alpine influence, provides a stunning scenery where even the most intensive training is an absolute pleasure. 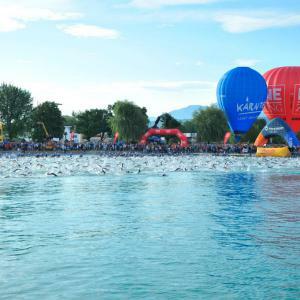 (mainly in the area of the lake –scenically beautiful routes along the many waters of Carinthia’s Lake District) these also include the new OFF-THE-BIKE-INTO-THE-LAKE TOURS, which have been created especially for guests who would like to enjoy the diverse holiday activities in the afternoon instead of sitting on their bike all day long. (a combination of lake tours with some crisp valley crossings and seemingly endless mountain and pass roads, mainly tours of 100 km but with quite a few metres in altitude, which require good physical condition. 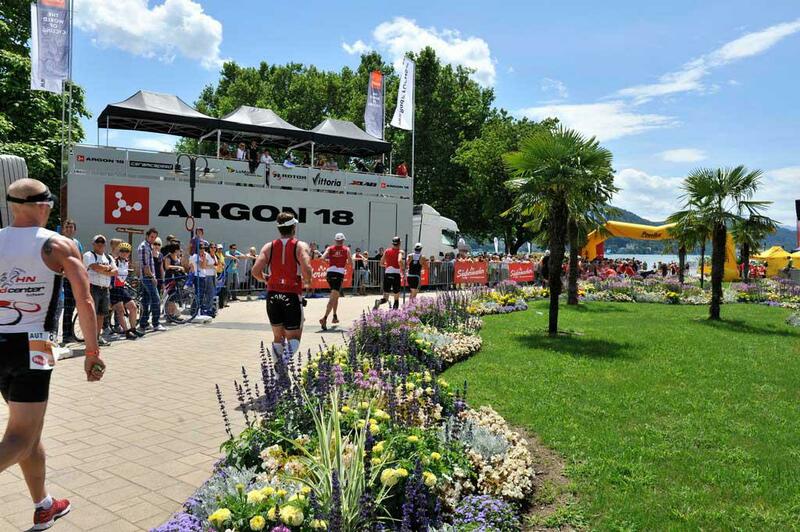 In the midst of the racing bike paradise of southern Carinthia, our "PRO" adventure hotel is a TOP SPOT for clubs and clubs to organize racing or training weeks. The central location of our hotel offers the clubs the ideal starting point for meanwhile 30 elaborated tours of all performance levels, some of them, cross-border, to the neighboring countries of Italy and Slovenia. 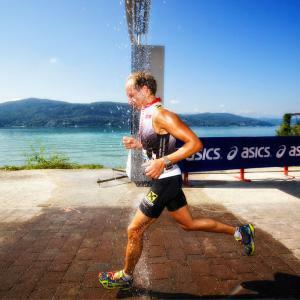 The generosity and comfort of our hotel rooms and apartments, the frequency of the facility as well as the flexible design of your perfect cycling days on Lake Faak offer you the necessary framework for your training days in southern Carinthia. Whether small groups of 7-10 people or entire clubs up to 50 people, all experienced in the experience hotel best care first hand. a large number of tours are offered, daily tour briefing. Upon request, guides, also for several performance classes, are provided. Cycling clothes washing service is possible every day. Rental bikes, service, repair as well as material by our partner Tyl4sports, the professional cyclist nearby. All tours are available on our HotelNavi's, switch-on-plug-in: just easy with the teasi. for co-traveling, non-cycling partners there's our Region Villach Card, available free of charge at the hotel. Pictures of the joint tours are on USB stick. A support vehicle we provide on request / need (at least 15 people) free of charge. 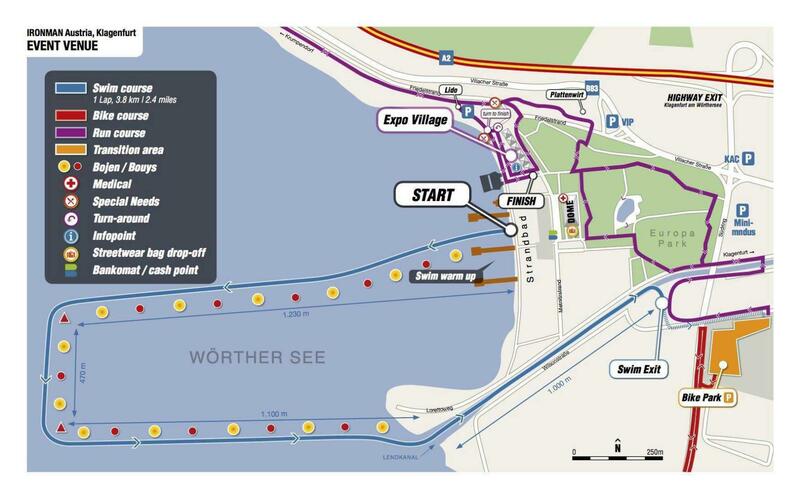 If the weather is not quite so bike-friendly: 3 marked running tracks from hotel / 4, 6 km to 10 km, let a "wet" training day not pass unused. There is a marathon running track 5 km away on the Drau, the thermal bath Warmbad Villach with the beautiful sports pool is 11 km away. ... Just to feel well in the hotel experience: spacious spa area on 400 m² with sauna area, gym with studio equipment and Relaxarium, massage with sports-Heilmasseure G. Tribus and M. Moser. ... and last but not least: the rich breakfast buffet, the rich and tasty menus in the restaurant Post with chef Martin, on request pasta plates in the afternoon, take care of your well-being after a hard day's work. with or without guided tours, only with breakfast or incl. half board; based on double room or with more occupancy in the apartments. 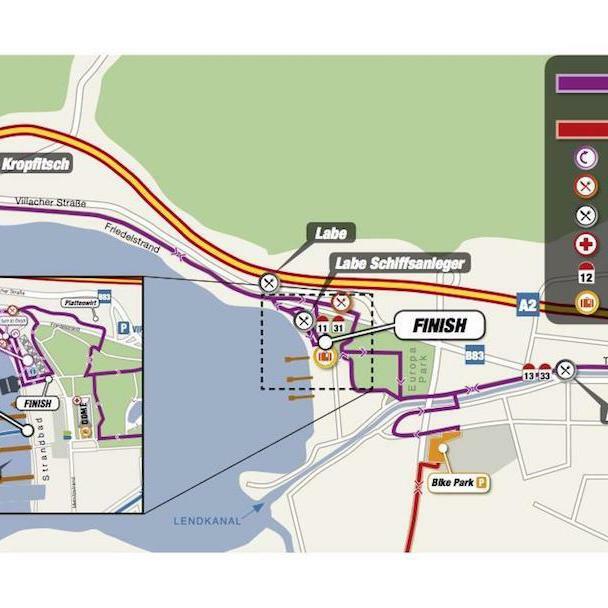 We look forward to introducing you to the most beautiful and most extensive road cycling area in Austria! 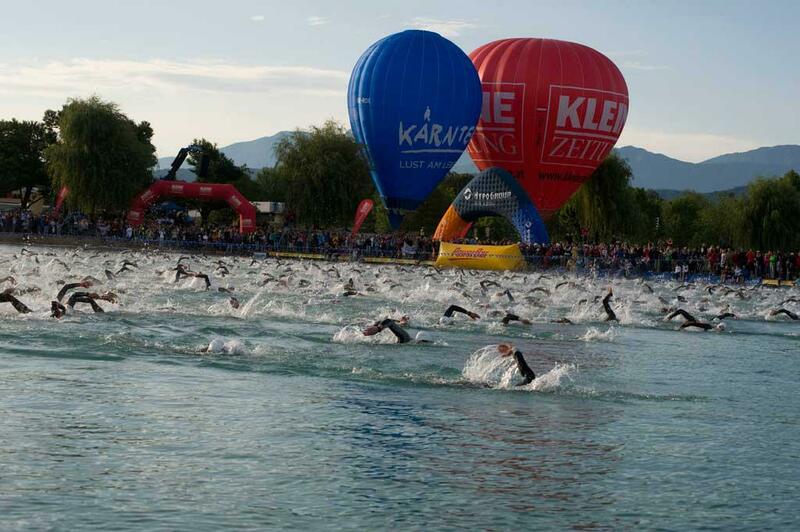 Faaker See, Austria's most beautiful bathing lake, offers perfect training conditions from May to September with water temperatures up to 27 ° C. In May and September it is recommended to wear a neoprene. 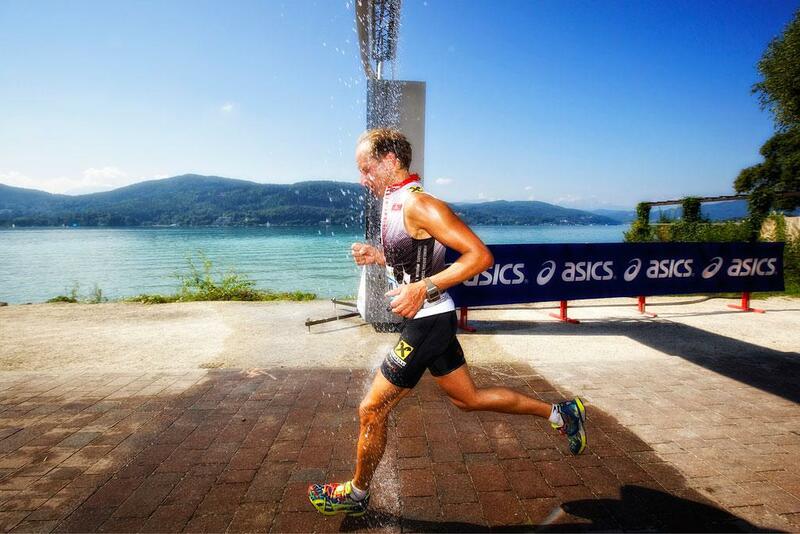 Under the time or for a track training we recommend the new Kärnten Therme in Warmbad Villach with large sport pool. (11 km away). 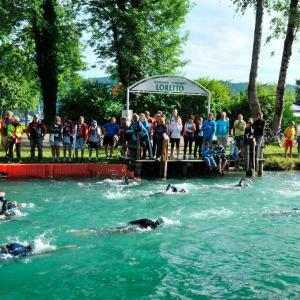 The "Road Bike Paradise Faaker See-Südkärnten" offers with its extensive road bike tours and - training potential the best conditions for a perfect triathlon bike training z. 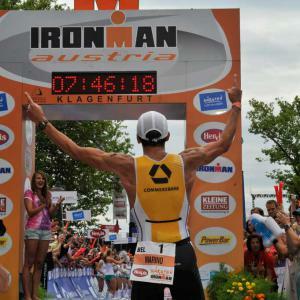 B. on the measured 90 km round of the "Ironman Austria". 30 elaborate road bike tours from the experience hotel to take away as a road book or as a file on the sat nav promise first-class racing experience. On request also guided tours possible, see Roadbike Tour package. 3 marked trails from Hotel / 4.7 - 10 km for tri-beginners and the measured marathon route on the river Drau (5 km away) provide varied running training on every terrain. Special triathlon training dates in May and June, with local triathlon club on request. Please ask, a short mail or a call is sufficient and we will inform you gladly.